A Next-Gen TV Interface Concept – Yanman! We all know that the interface for TV is about due for a major upgrade. Clicking your way through long lists and typing on a remote control is a chore that’s been made marginally better with app-based remote controls. But even with these software remotes, the interaction is still inherently indirect and functions like an awkward trackpad. What you really want to do is remove the abstraction and touch the TV screen directly… but without having to leave your couch. To that end, I’ve been toying with an idea that would allow for just that. This concept demonstrates what the interaction could be like if TV apps could synchronize states and mirror its content to a mobile app all while accepting touch input. I’m using the Apple TV as a starting point because it’s already got everything lined up for this to happen and already demonstrates a fraction of its potential with the Remote app and Airplay. We can (and should!) still support dedicated physical remotes. You will notice that all AppleTV screens can still be navigated with the standard up/down/left/right controls. This method acts as a complement to the tried and true clicker. TV apps need to be designed with the mobile abbreviation in mind. The Hulu Plus TV app’s tab-based format presented a challenge to the mobile abbreviation. The two representations of content should be as similar as possible to maintain the 1:1 perception. If you veer too far away, the user has to learn two different interfaces. The user should not have to have all of the TV apps already installed on his/her device. By firing up a central app, all content on the TV should mirror to your handheld device. Either the breakout box (Apple TV in this case) needs to act as the server to push content down directly to each mobile device or it could simply synchronize each client’s individual requests to the cloud. 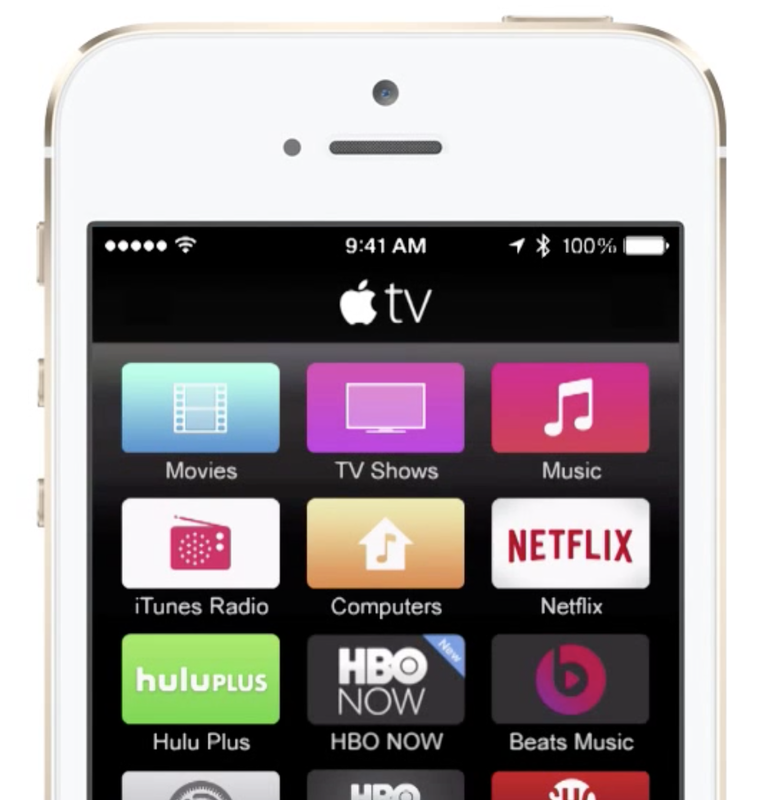 Airplay/Casting is one way, pushing content from a mobile device to the TV. It was helpful for me to think about this concept as the a two-way cast. Particularly for 2nd screen content (like viewing screen relevant IMDB info), there’s no reason why the mobile app couldn’t be used by multiple users simultaneously. I hope you never try to make a living as a usability guru, because you’ll be living in a cardboard box. It’s a freaking PHONE. It can talk and listen. Your way is better than the default, but not by much. A centralized app does not exclude the possibility of accepting verbal input.